Our Aquapaint™ products is one of our best selling activities for people in mid to late stages of dementia. Each set comes with five different images that have been carefully selected to help start conversation when the painting is complete. 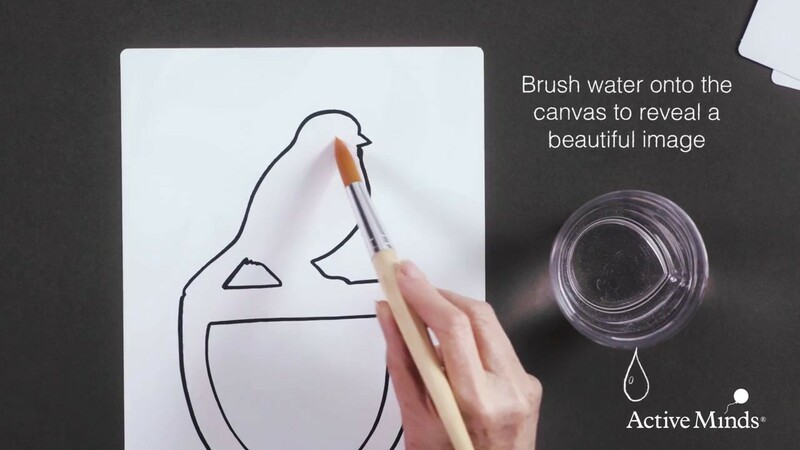 The canvas starts off white, with a simple clear black outline of the image to help guide the painter. As water is brushed on to the canvas, a beautiful image is revealed giving the individual that wonderful feeling of painting.